Finance Ideas 4u: Why Choose Contractor Mortgages? Are you a contractor? If so, you may have already experienced your mortgage application being declined by several lenders and brokers. The lack of a fixed income makes it hard for contractors to secure a decent mortgage. It is really frustrating to dream of a home but unable to get the right finance for it. In contrast with other employees who receive a monthly fixed income, contractors usually don’t have a constant stream of money into their bank accounts, despite the fact that majority of contractors have a higher hourly rate compared to most office jobs. Therefore brokers and lenders see them as higher risk—and a chance they are unable to pay mortgage. It is frustrating to be judged and financially discriminated. Most companies would hesitate lending someone who doesn’t work on a contract for company. Similarly lenders close their doors for people who consider themselves as self-employed. Contractors are usually paid on a hourly rate and usually have full control of their time. They have more freedom that someone in regular employment: but the lack of a monthly pay slip makes it really tough for them to secure any loan from the banks and lenders. No brokers would even consider them as qualified candidates for a mortgage. There are however brokers that have seen a gap in the market for this rising group of processionals. The birth of contractor mortgages has opened a lot of opportunities for contractors, giving more opportunities to those in this market to own their own home with good interest rates. Although contractor mortgages are particularly designed to address the lack of fixed income of the contractors, it still requires them to submit proofs and documents upon application. Certificate of contract is required from contractors if they plan to apply for a contractor mortgage. The contract should state the number of weeks or months it is effective, the amount of the agreed hourly payment and the name of the contractor. It is also important for a contractor or a freelancer to gather all the documents of his previous contract. Lenders want to know how long an applicant has been in this type of employment. Although it is not necessary to have a very long experience in contracting jobs, more experience entails a much higher offer from the lenders. Now with contractor mortgages you will be able to get the property you’ve been eyeing. 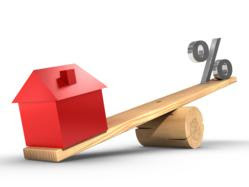 For mortgage rates and terms, you can visit www.contractormoney.com/mortgages today.